King Richard the Lion-Heart born at Beaumont Palace, Oxford, England. Paris attacked by Joan of Arc in an attempt to oust the duke of Burgundy and take Paris for the newly crowned King Charles VII. First permanent European settlement in North America at present-day St. Augustine, Florida established. Czech composer Antonin Dvorak (New World Symphony) born in Nelahozeves, near Prague, Czech Republic. French writer Alfred Jarry (Ubu Roi) born in Laval, France. The body of prostitute Annie Chapman is found. The second known victim attributed to Jack the Ripper. Country and western singer Jimmie Rodgers born in Meridian, Mississippi. James Joyce and Oliver St. John Gogarty move into a Martello tower in Sandycove, the setting for the first scene of Ulysses. TV funny man Sid Caesar (Your Show of Shows) born in Yonkers NY. Comedic actor Peter Sellers (Being There), born in Southsea, Hampshire, England. Singer Patsy Cline born in Winchester, Virginia. Senator Huey P Long assassinated at Baton Rouge Capitol building. 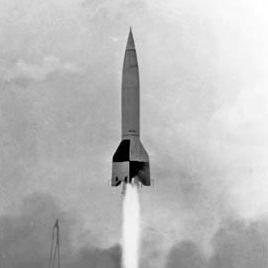 First Nazi V2 rocket hits England.